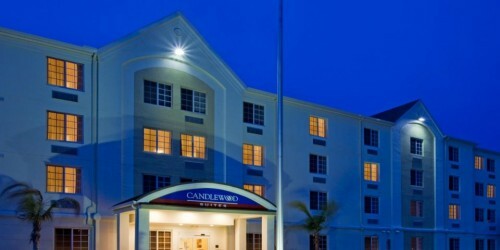 Melbourne, Florida Hotel’s Amenities Exceed Expectations. Partially located on both Florida’s mainland and a barrier island, the city of Melbourne is a beautiful oceanfront town on Florida’s Space Coast. The Candlewood Suites® Melbourne – Viera hotel offers exceptional service and stylish suites for your short-term or extended stay. With the hotel’s location in Melbourne, FL, you’re just minutes from Patrick Air Force Base, Eastern Florida State College and some of the area’s best companies. We’ve got everything you need to have a productive business trip, including free Wi-Fi access and a Business Center. Impress your guests with a flawless meeting in the conference room, which can accommodate up to 42 people. From stunning beaches to world-class performances, the choices are limitless when you stay at this hotel in Melbourne, Florida. You can watch the Washington Nationals’ spring training at the nearby Space Coast Stadium. If you’re looking for something for the entire family, check out the Brevard Zoo. Excitement and speed await you at the Andretti Thrill Park. Whether you’re here for a quick trip or an extended stay, the hotel’s accommodations in Melbourne, FL are sure to meet all your needs. 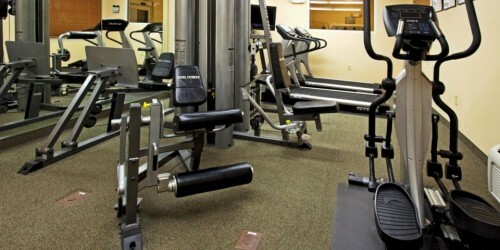 We’ve got some of the best amenities around, including free guest laundry facilities, a free DVD and CD lending library and a 24-hour Fitness Center. 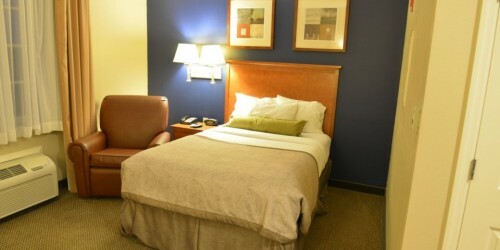 Make reservations today to enjoy everything we have to offer at our hotel in Melbourne, Florida.